Re-think your waste and make a living! Statistics today indicate a high level of unemployment in South Africa with thousands of people losing their jobs daily. The rate of inflation and poverty in South Africa is something that cannot be overlooked by individuals, corporate and government alike. Empowering people to use their natural given talent of crafting will assist them to make a sustainable income for themselves in the future. There will always be a need to educate people and to teach them new and valuable skills. 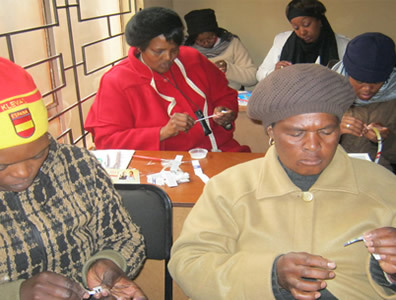 The crafting/product industry is vast and un-limited and is an exceptionally good way for unskilled, lower income or previously disadvantaged individuals to start a business with little outlay. This can enable them to support their family. There is a huge demand internationally and locally for handmade crafts and the need for green products in the market absolutely justifies these individuals getting involved and learning crafts. 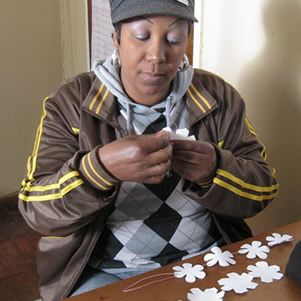 Almost everyone has a skill, hobby or craft that they partake in as a form of relaxation or income generation. As these skills are usually only learned from a family member, the products and the availability is limited. 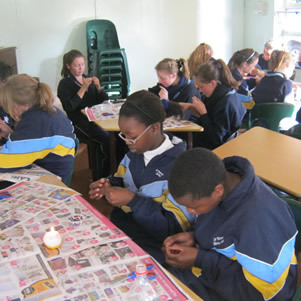 Our Upcycling drive serves to bring this information back to our ever day lives in our step by step projects. 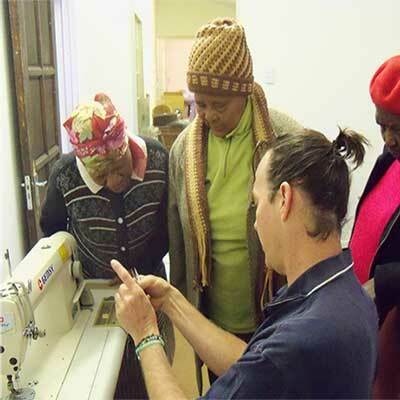 By empowering and teaching people how to do something that can generate income or uplift their community we are growing skills that are invaluable to South Africa and its people. If we at UPCYCLE can fill the need by teaching the crafter the skills, assisting them with the materials and marketing required to produce and sell the quality crafts that are so eagerly sought after, we will have achieved much in the way of our vision, purpose and goals. 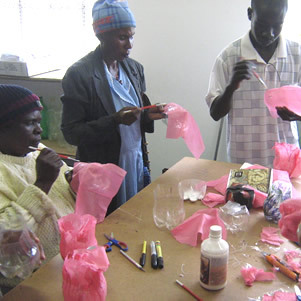 Upcycle training serves to offer a completely unique solution which not only empowers beneficiaries, but offers a unique value-proposition to companies as well. The requirement for achieving the full 5 points for Socio Economic Development is for Measured Entities to spend 1% of Net Profit After Tax on qualifying Socio Economic Development (SED) beneficiaries. As per the BEE Codes of Good Practice, SED contributions must lead to income-generating opportunities for the beneficiaries. 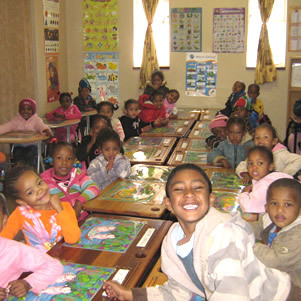 Approximately R8 billion is contributed to SED projects on an annual basis. As an organisation we are aware that, very often, these contributions do not lead to sustainable solutions for beneficiaries. This is where Upcycle is able to offer a completely unique SED solution which not only empowers beneficiaries, but offers a unique value-proposition to companies as well. Training - Our full training course is run in conjunction with corporate social obligation projects. Upcycle develops a product from your waste stream and sets up a training program to remove your waste out of the system, and create a valuable functional income-generating product from it. Upcycling your waste into corporate gifts - Creating functional, usable items from your trash to market and illustrate your green commitment! Teambuilding - We offer inspiring and motivational workshops on how to go green. 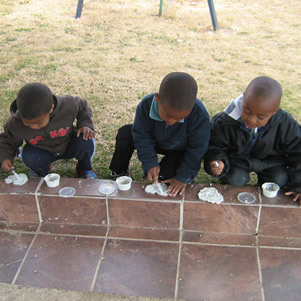 Your next teambuilding could provide educational toys to disadvantaged children from waste. Training and skills development is an everlasting benefit. UPCYCLE’s unique approach to training and development requires more than just teaching someone a skill. We know and understand the requirements involved and the need to provide continual development, sustainability, motivation and self-worth. We are therefore more in the business of developing one individual to their full potential than mass short term training workshops. When people are trained to use and understand materials the creativity flows from knowledge to ideas and opportunities. It requires an entrepreneurial mind set, appropriate skills and market knowledge to convert these ideas and opportunities into economic success. UPCYCLE covers so many aspects of creativity and waste material awareness as well as design knowledge that it is not possible to impart these skills and knowledge to an individual in a few short sessions. 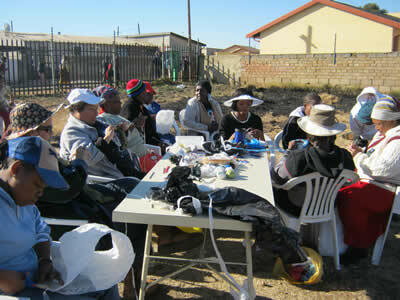 To take an individual or group of individuals to their full potential we have to spend a generous amount of time with them, showing them the skills and teaching them about waste materials while at the same time teaching design, strategy, implementation, marketing and the full array of skills in order to become prosperous self-sustaining entrepreneurs. 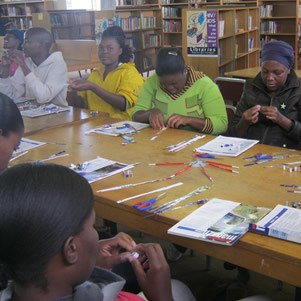 We believe in building an on-going support and motivational relationship with the crafters we train and promote. Our training is longer and much more intensive than standard programs as we are building entrepreneurs not just up-skilling a labour-force. These courses are run over a 4 x 6 week period taking a person from a completely unskilled learner to a fully operational upcycler. Our full training course can be run in conjunction with corporate social obligation projects where Upcycle develops a product from your waste stream and sets up a training programme to take your waste out of the system and creates a valuable functional income generating product from it. One day Upcycle inspiration workshops, we come to you. 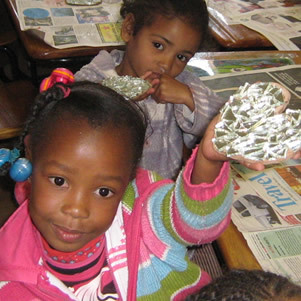 In our one day workshops we develop the idea of crafting with waste and inspire new ideas and creativity! We show people to see waste as a free resource and provide them with tips and techniques on how to use various materials. We like to focus on one or two really wow factor products to get the creative juices flowing. The workshop is not a training course and does not serve to teach anyone how you actually make a product but rather provides a full understanding of the potential waste has as a material and how crafting form waste can be easy, effective and income generating.